Deep sea fishing is a sport that is not necessarily for everyone. But for those that make the effort to have a deep sea fishing experience, it can be rather exciting and satisfying. After all, for some this resembles the snowboarding of the fishing arena — the “extreme sport.” The adrenaline thrills you get as you pull that swordfish or marlin over the side of the boat is unparalleled by other experience. 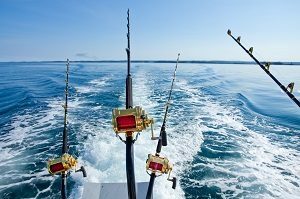 Before you decide to go on a deep sea fishing expedition, you should consider a couple of things to determine whether this type of sport is a smart idea for you. As an example, you could not be suitable deep sea fishing if you have the tendency to have motion sickness frequently. If you are unsure of how well you could handle the waves of the open water, try an affordable, short trip first to test your sea legs. Normally you can charter a couple of hours trip offshore that will take you out approximately a mile to experience the sensation of the sea so you could assess if you can take the waves. When deep sea fishing, you will remain in a place where land is not in view, so you will certainly have to get used to it if that bothers you. Commonly, when you venture out to sea about ten miles or even more, you lose sight of the shoreline. If this thought terrifies you, deep sea fishing in Myrtle Beach might not be your sport and also you may consider another kind of fishing. The deep sea where the largest fish can be captured will only found in a location that is far from the shoreline. An additional factor to consider for deep sea fishing is the amount of time you will experience the sunlight. You will be in the direct sunshine that is also bouncing back at you off the glassy water surface. This can be putting you in jeopardy for sunburn. The fall is a great time to plan a deep sea fishing trip in Myrtle Beach when the temperatures are milder. However, we can still experience high temperatures even this time of year. There is normally no cover from the heat that will be beating on you throughout the day. The Voyager has a cabin where you can find sanctuary from the sunlight, nevertheless, you cannot fish from inside. You may want to reconsider making the trip if you have thin skin or sunburn quickly or are particularly susceptible to dehydration or heat stroke. If you do make a decision to go, whether or not you anticipate to be impacted by these conditions, take with you strong SPF sunblock, a hat, as well as lots of water. Charters will generally provide water for you too, yet take your very own also. If you are ready, deep sea fishing could be the excitement of a lifetime. Don’t resent the special factors to consider that have to be taken into consideration. Just be cautious and be prepared, then call us to schedule your charter and enjoy yourself. Book a deep sea fishing trip now, call or visit Voyager Deep Sea Fishing & Dolphin Cruises website. Every year the summer ushers in warm weather, school break and the chance for many Americans to experience different parts of the world and the country by going away for much-deserved family vacations. While there are undoubtedly many attractions to visit in other countries, there are also many affordable and breathtaking cities and locales to visit here in the states. For travelers who want to see and experience a new city or landscape without spending money on expensive international plane tickets, they can head south for the summer and pay a visit to the South Carolinian city of Myrtle Beach. The southern city of Myrtle Beach manages to draw countless visitors every year who are eager to take advantage of all the attractions that the city has to offer. Tourists can plan a day to visit a part of the 60 miles of beaches that are located in the city, take advantage of the city’s live entertainment or golf courses. 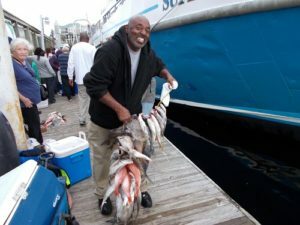 They can also check out one of the best leisure activities the city has to offer: deep sea fishing Myrtle Beach. 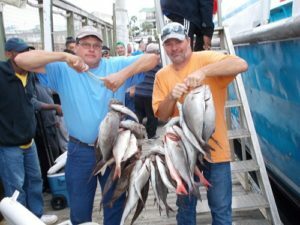 Myrtle Beach’s close proximity to the Atlantic Ocean presents the perfect opportunity for fishing enthusiasts to seek out fishing opportunities, through deep sea fishing, which they would not have at their local fishing holes. 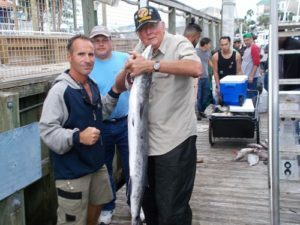 The thing that distinguishes Myrtle Beach deep sea fishing from standard freshwater is, of course, the depth of the water that the fishing expedition finds itself in. 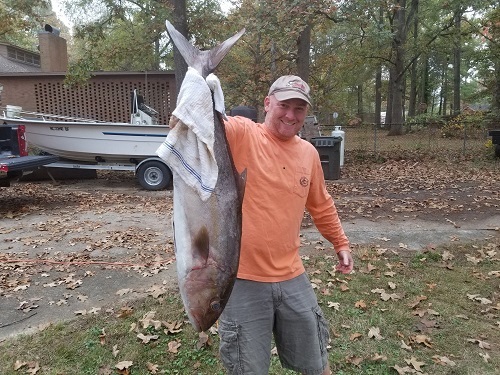 As you can probably guess, when a fishing expedition finds itself in waters that are 100 feet deep, they will have access to an entirely different kind of game than they otherwise would in a freshwater lake or river. Saltwater fish are often comprised of species that are much larger and more varied than the fish who make their habitats in freshwater fishing holes. 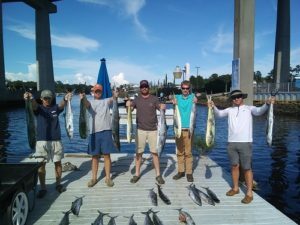 Tourists that want to take advantage of the deep sea fishing activities that Myrtle Beach offers can schedule a deep sea fishing trip through one of the many charter boats owned by companies operating in the city. 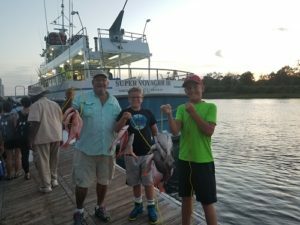 Deep sea fishing is an incredibly enjoyable activity that lets veteran and amateur fishermen alike catch noteworthy game fish like Amberjacks, bass, king mackerels and pink snappers. 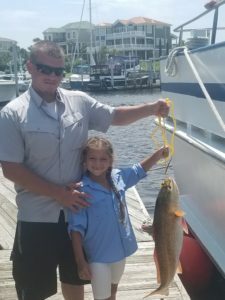 While the prospect of being able to catch one of these large fishes and take pictures of it to share with one’s friends back home is an exciting one, it is important to take advantage of the expertise of experienced deep sea fishermen when planning a deep sea fishing trip in Myrtle Beach. Booking one of the area’s many charter boats allows visitors to have the best deep sea fishing experience they possibly can by avoiding areas that are unlikely to have the kind of fish they are seeking and by having a veteran crew make the trip as safe as possible. 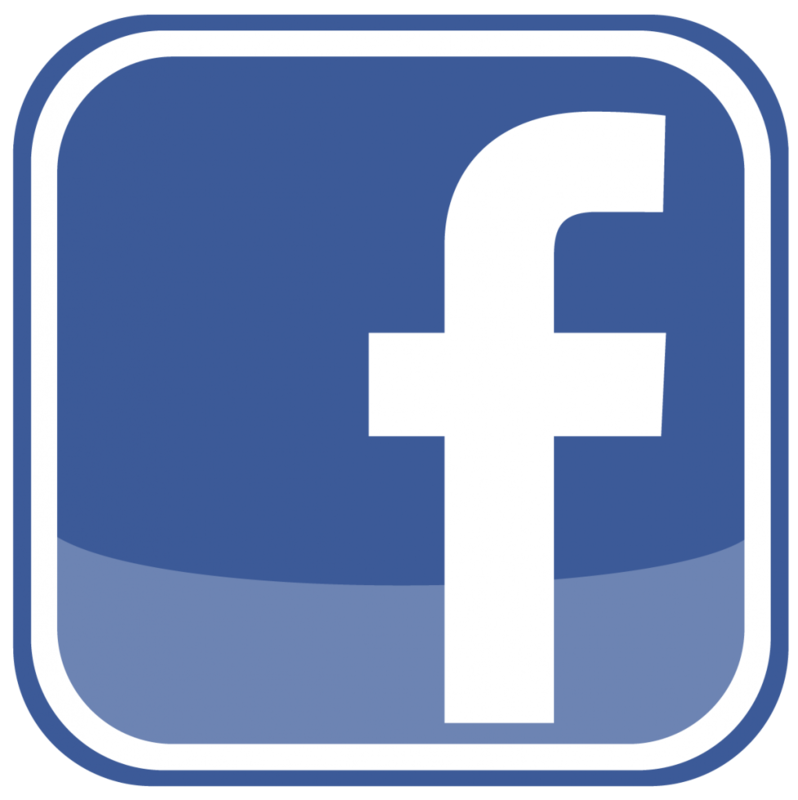 Tourists that want to charter deep sea fishing boats can turn to the internet for recommendations. Call Voyager today to book your day on the ocean deep sea fishing.